One of the Pyramids on Pico Island, in the Maroicos Park in Madalena. Photo by Torbenbrinker [CC BY-SA 4.0], via Wikimedia Commons. Image modified. The Azores islands of Portugal are found in the middle of the Atlantic ocean, and are suggested to be remnants of the ancient lost continent of Atlantis.1 The nine islands of this archipelago are dotted with various pre-historic structures, similar in style to many others found all around the world — including various stone chambers, hypogea-like structures, megalithic stone walls and gateways, etc.,2 and lots of stepped pyramids. The Volcano of Pico Island viewed from a distance. Photo by Guillaume Baviere [CC BY 2.0], via Wikimedia Commons. Some of the pyramids have inner chambers, steps, and ceremonial square areas.6 Additionally, according to Félix Rodrigues, professor of the University of the Azores, underground tunnels connect these pyramids, although some of the tunnels are now ruined.7 Interestingly, tunnels can be found underneath pyramid structures all over the world, for example in Teotihuacan in Mexico, the great pyramids of Egypt, in Bosnia, etc. More photos of the Pico Island pyramids can be seen here, here, and here. The Pyramids of Guimar, Canary Islands, Spain. Photo by Pedro Ximenez [CC BY-SA 2.0 de or CC BY-SA 3.0], via Wikimedia Commons. The islands of Pico in the Azores (Portugal), Mauritius (Indian Ocean), Tenerife in the Canary Islands (Spain), and Sicily (Italy) all have something extraordinary in common: the existence of remarkably similar ancient stepped pyramids that are aligned to the sun. These pyramids are all constructed from smaller stones. Related structures of closely similar design also exist elsewhere (in places like Korea and Austria, for example). 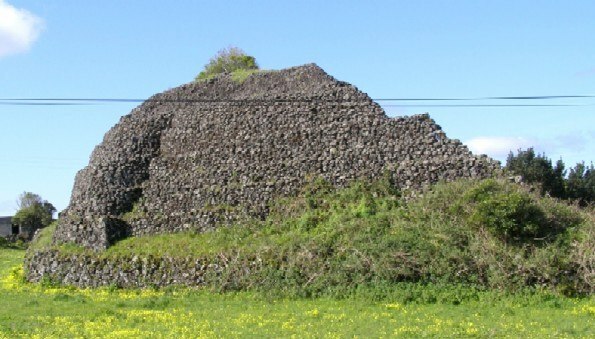 Although all these pyramids are found in different parts of the world, belonging in the modern day to different countries, these prehistoric structures reveal a thought-provoking ancient connection between these ancient sites and their builders. Map of island stepped pyramids in Azores, Canary Islands, Sicily, and Mauritius. (Map created via NatGeo MapMaker). More information about the pyramids in Mauritius, Canary Islands, and Sicily will be available in separate future articles. “Atlantis/Location Hypotheses.” Atlantis/Location Hypotheses – Wikiversity. Accessed August 12, 2017. https://en.wikiversity.org/wiki/Atlantis/Location_Hypotheses. Note: some of these prehistoric structures can be seen in this video. “Pico: New archaeological evidence reveals human presence before Portuguese occupation – Azores.” Portuguese American Journal. March 04, 2014. Accessed August 10, 2017. http://portuguese-american-journal.com/pico-new-archeological-evidence-reveals-human-presence-before-portuguese-occupation-azores/. Azevedo, Virgílio. “Archaeologists reveal secrets of the pyramids on the island of Pico / Arqueólogos revelam segredos das pirâmides da ilha do Pico”. Expresso. August 27, 2013. Accessed August 12, 2017. http://expresso.sapo.pt/sociedade/arqueologos-revelam-segredos-das-piramides-da-ilha-do-pico=f827624#ixzz2eJslrs3Y via google translate. National Geographic. “Atlantide, la cité perdue – Azores.” YouTube. March 15, 2017. Accessed August 12, 2017. https://youtu.be/TstgIgrNtIE?t=32s. Lusa. “Pia carved in a rock in the island Terceira dated 950 years / Pia esculpida numa rocha na ilha Terceira datada com 950 anos”. Expresso. March 10, 2014. Accessed August 12, 2017. http://expresso.sapo.pt/sociedade/pia-esculpida-numa-rocha-na-ilha-terceira-datada-com-950-anos%3Df893776 via google translate. Matos, Carolina. “Archaeology: Prehistoric rock art found in caves on Terceira Island – Azores.” Portuguese American Journal. June 24, 2017. 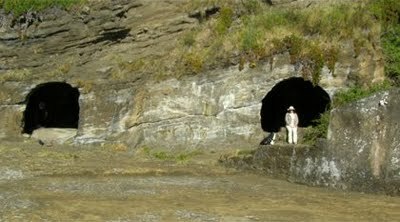 Accessed August 12, 2017. http://portuguese-american-journal.com/archeology-prehistoric-rock-art-found-in-caves-on-terceira-island-azores/. 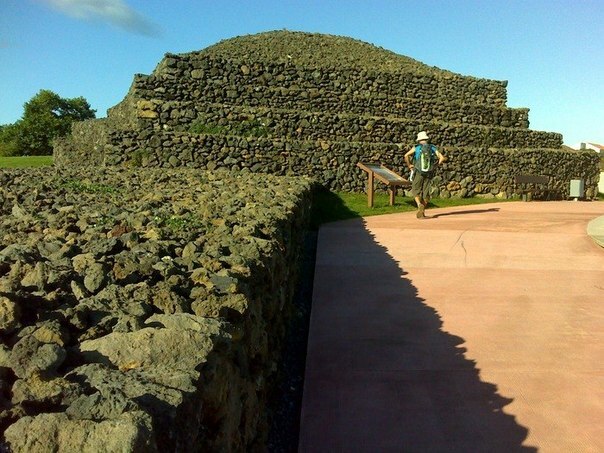 “Carthaginian temples found – Azores.” Portuguese American Journal. March 04, 2014. Accessed August 12, 2017. http://portuguese-american-journal.com/carthaginian-temples-found-azores/. Ribeiro, Nuno. “Phoenicians in Azores (Portugal), myth or reality?” Proceedings of the 15th Symposium on Mediterranean Archaeology, held at the University of Catania 3–5 March 2011 (published on Academia.edu – Share research). Accessed August 13, 2017. https://www.academia.edu/26040170/Phoenicians_in_Azores_Portugal_myth_or_reality. This report can also be read on the Portuguese Association for Archaeological Investigation’s website here. Ribeiro, Nuno. “PROTOHISTORIC AND HISTORICAL ATLANTIC NAVIGATION ARCHAEOLOGICAL EVIDENCE FROM THE AZORES.” Academia.edu – Share research. Accessed August 13, 2017. https://www.academia.edu/17115819/PROTOHISTORIC_AND_HISTORICAL_ATLANTIC_NAVIGATION_ARCHAEOLOGICAL_EVIDENCE_FROM_THE_AZORES. Amazing how much these pyramids look like the ones in Maritius, Canary Islands, etc. I’d not heard of these before, but looking at some of the amazing photos and the aerial footage — it’s pretty ridiculous to call those rock piles from farmers! I think the only way anyone would buy that argument is by not seeing photos or digging in at all to understand what’s currently known about the structures. So basically relying on ignorance as others have pointed out. Even if they were rock piles — painstakingly arranged into the lovely stepped shape with tunnels and chambers — the fact that many align to the solstice sunset adds another massive degree of complexity and planning to build such structures. It seems obvious to be the work of a culture that cared very much about those alignments and had a special purpose for them in order to take the time to make them. That’s very much at odds with the farmer theory. I’m glad to see this information being covered so that more of humanity’s lost history can be understood. Looking forward to finding out more about the other pyramids that are styled like this one — thanks for the great article. Very interesting article Jenny. The Azores and other islands in the Atlantic are sites I have been meaning to look into further, in part because the locations accord very well with Plato’s description of where Atlantis was. A big issue skeptics raise with the existence of Atlantis/a lost continent is where the continent disappeared to. Islands that may be the submerged remains of a larger land mass seem one plausible explanation and a promising avenue for further research. Looking at the pictures you’ve posted, it defies credibility to suggest that they are simply stones from farmers clearing fields. I’ve seen piles of stones left by farmers clearing fields, and as you said, they definitely don’t take the time to arrange them into neatly stepped pyramids! I suspect farmers clearing a new field are typically a lot busier trying to just clear the rocks (which in a pre-industrial time would have been back-breaking work done by hand and with animals) so they could grow crops and survive. It’s unfortunate that those explanations are so readily expressed by many mainstream archaeologists and historians and accepted by the public. Admittedly, there are often a lot of wild theories about sacred sites that seem to lack grounding in solid evidence and research. However the mainstream seems to often take an opposite and equally harmful approach, which is to reduce everything to something mundane and trivial however possible, even when that position seems absurd based on the facts that are literally on the ground. One of my favourite picture books as a little child was of Atlantis – the story really fascinated me. It makes good sense that these islands could be a remnant of it. Me too 🙂 I always asked for stories of Atlantis as a child. About the pyramids being “stone piles” — unfortunately it is a view some people in the media and archeological circles are actually holding onto, despite being presented with more and more evidence. Although I find these structures interesting in their own right, they also seem like a lead to something much greater— that possible Atlantean connection. It’s quite amazing how today, in a big part thanks to the advanced information communication means of the internet, the opportunity has arisen to start to putting things together of our history that couldn’t be done in the same way a few decades ago or before that. It’s wonderful to see that there are actually many archaeologists, people and groups interested in and have ‘a feeling’ about an alternative truth to our history. It almost seems (maybe I’m slightly exaggerating) like some discoveries in recent times, and new views along with it, are all slowly starting to come together to establish a bit of a different paradigm or view of our history? Interesting point you mention about the tunnels that seem to often accompany pyramids Jenny. It certainly seems the case. Those shots of the island towards the end of the video make it seem very magical btw, something to it. Yes, the islands are really beautiful — like out of a fairy tale in some places, especially São Miguel. I am Portuguese and my parents and entire family tree for 3 generations before them are from the Azores. So let me say that they are apart of something that was way before anything we will understand as people and the history and untold secrets purpose religious and fascinating truth about the islands are for those that can only think deep and still today in 2018 do they and the people live as one and almost untouched to where they are the way today as they were meant to be..simply a remarkable place of what earth should be seen and respected in..people and earth living and giving back as intended to be. The hidden history of such structures, and especially ones in faraway places like islands or deep in the forests, is something that can have such a feeling of mystery to it that somehow comes to you. I also wonder sometimes how much we actually know about many of the structures and civilisations of the past. What did they know that we don’t? how were ancient sites and sacred landscapes used? Perhaps when looking at the remnants of some of the ancient structures we’re really only scratching the surface and know far less than even the little we think we know. Hope you’re able to (if you haven’t already) visit these ancient sites Carlos. Sounds like a really special place Carlos. From what you say it seems that the way of life there is still a bit more in tune with spiritual forces; probably being so isolated has an impact, but maybe there’s also an energetic element to it. That’s interesting to have a family connection with the Azores islands Carlos. The many pyramids there sound like incredible monuments, with lots to still discover. It’s also good to hear that the deeper significance of the islands and their structures is still respected today, among the people living there. Born and raised on Terceira Island, Live in United States now and visit every year. Still have our family home that goes back four generations. All of the islands are in amazing place each one unique. Lots of history still yet to be discovered, maybe it is the last surviving piece of Atlantis. I’d heard about the abundance of ancient site in the Canary Islands and also about them potentially being a place that is somehow linked to Atlantis. But somehow the Azores escaped my awareness! They seem incredibly similar to the Canaries in terms of location, wealth of ancient heritage, and link to Atlantis. Lovely video and very interesting to catch some of that particular culture’s flavour. How far back that would go I know nothing about of course. That’s really beautiful, Ella. No, I’ve never heard of it. It sounds very much in harmony with nature. Wiki says the Spanish learned it from the Guanche and adapted it to the Spanish language in the 16th century. Great article Jenny, its very interesting to think these structures may have been built by Atlanteans or descendants of Atlantis. It seems most, if not all the links from this lost civilisation has some relation to the religion of the sun. Looking forward to the future articles related to these locations. Definitely thought provoking. I wonder why the Azores became uninhabited after the pyramids were built? In any case, if anywhere is a “leftover” of Atlantis perhaps the best bet is the Azores. In terms of what might have happened to the inhabitants of these islands in the past then, your guess is as good as mine. A few thoughts that come to mind is natural disasters / cataclysms driving people to migrate (besides the main ancient cataclysm associated with the disappearance of Atlantis, these islands contain over 30 volcanoes and are prone to seismic activity…), or maybe something happened when other explorers arrived (similar to what happened with the Guanche in the Canary Islands when the European explorers came there, and elsewhere). I wonder too, given the amount of evidence of the presence of these “Mediterranean cultures” at some point over the last several thousand years, why did they leave? Piles of rocks made by settler farmers, that just happen to be pyramids with solar alignments? It sounds a lot like the dismissive, baseless and evidence-free claims used to explain away the various sites in North America that also align to the sun. It just seems so ridiculous, but I guess if no one bothers to question, challenge and conduct research to provide a different and more accurate perspective, no one would know any better. It is good to see this contrived history being questioned and countered to a much a greater degree now by independent researchers, so that we get a clearer picture of the expanse of this ancient knowledge, which is our shared heritage. Thanks for pulling this together Jenny; it’s eye-opening to see the connections across these different islands. Interesting to how the Azores have so much volcanic activity too — that certainly fits with the “Atlantis/Location Hypotheses”. I was watching a video about Newgrange and the researchers were describing what a wonderful “agricultural alarm clock” it was, that it could help them know when to plant crops. Would they really go to all that trouble just to be shown when to throw seeds in the ground? I guess they have no better explanation so they go with that. @Daniel. I’ve noticed similar commentary on ancient sites and cultures. Where some archaeologists or the reporters making a documentary are surprised and impressed at what the finds are revealing, much more than initially thought. Yet those finds, and admiration of them, seem to still often be expressed through certain viewpoints of the past. Or measured through the filter of a modern person’s view of the world. Although I think there are intentional agenda’s to skew the truth of the past. (Whether it be someone’s career on the line or more sinister intentions etc.) However I do have to say that I think often it’s also a case of genuine ignorance. Mainly, in my opinion, that many of these cultures expressed very advanced spiritual understanding. Something that is lost and not understood, and not taken in a serious way today. So when analysing ancient cultures based on the criteria seen as advanced today (focussing, for example, a lot on the the tools they had available in order to make object x & y, rather than being aware of the deep knowledge ancients possessed to use that profound symbol) — this omission of the spiritual aspect makes much archaeology miss the point greatly imo. And when there are archaeologists that are truly open to that, immediately their research becomes a much richer source. Another thing someone recently mentioned to me was how the people back then were also very much people like us, much more so than we often think. The psyche and drives very much the same. Not sure if what I mean is getting across, but the way it was said to me all of sudden made the people of the past seem much closer. And why did these farmers only do this here and not back in their homeland? Why did they align these “stone piles” to the summer solstice? Why are there underground tunnels connecting these “nuisance piles of stones” together? Why did they create courtyards around some of them? Inner chambers? The whole idea seems rather irrational. And very reminiscent of how ancient sites go unrecognized, dismissed, or misrepresented in North America. Hi Jenny. At long last, the presence of tobacco and cocaine in Egyptian mummies makes sense. I think the evidence suggests that the pyramids were built by the Tartessians of Spain, who, in my opinion (and many others’) were the inheritors of the Atlantean tradition. The colony on the Azores would have been established as a supply-base for the route to the Americas. Possibly Tartessian sailors went there shortly after the Atlantis cataclysm to see how much of the island remained – the main island’s dimensions, as given by Plato, made it about the size of Ireland. The Azores colony, however, was too remote to maintain forever and eventually abandoned. Its position would have been analogous to that of the Greenland colony during the Middle Ages. Hi Emmet. Thanks for chiming in. The Tartessians have some very interesting artifacts with beautiful symbols to their name. I’ll have to look into the Egypt connection you mentioned sometime — I haven’t heard of that theory before. I agree that likely the Azores were an outpost for different ancient seafaring peoples. The Azores Current, which branches out of the Gulf Stream passes right through the area, and would have made it a convenient stopping point on the way to Europe from the Americas. The existence of pyramids and other ancient structures at common outposts along these types of ancient maritime routes points to that likelihood as well. The reason you propose for their recent abandonment seems like a plausible scenario.